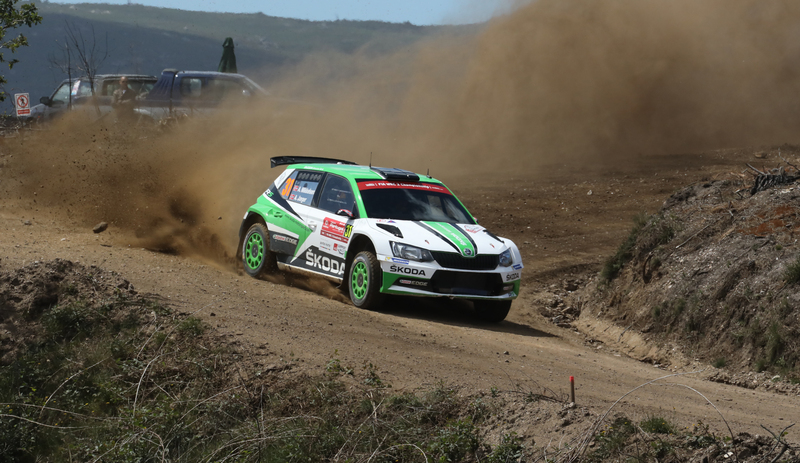 Matosinhos/Portugal, 19 May 2017 – Andreas Mikkelsen/Anders Jæger-Synnevaag (NOR/NOR) are dominating the WRC 2 category at Rally Portugal driving a ŠKODA FABIA R5. After they set the fastest time on the Super Special Stage at the Lousada rallycross track on Thursday evening, they continued to build up a strong lead on the following eight stages of the Friday leg. Teammates Pontus Tidemand/Jonas Andersson (SWE/SWE) fought a tense battle for second with Ford drivers Teemu Suninen (FIN) and Eric Camilli (FRA). On Friday evening, ŠKODA Motorsport boss Michal Hrabánek was very happy to see both ŠKODA factory teams on provisional podium positions in WRC 2 with Mikkelsen leading and Tidemand in third. Pontus Tidemand and co-driver Jonas Andersson (ŠKODA FABIA R5) were facing attacks of the two M-Sport Ford Teams Teemu Suninen/Mikko Markkula (FIN/FIN) and Eric Camilli/Benjamin Veillas (FRA/FRA). While Camilli eventually could no longer match the speed, Tidemand and Suninen were fighting for second tooth and nails on each stage. “I did the recent Rally Argentina in safe mode, here I have to push right from the start”, Tidemand commented. After Tidemand made some changes to the set up of his ŠKODA FABIA R5 at midday service, the battle with Suninen continued. The Swedish ŠKODA Team finished the Friday leg on third only 2,3 seconds behind the Finn. “It was hard for me to find the right rhythm on this tough stages, I tried to avoid all the big rocks. But there is still a long way to go, we will keep this speed”, Pontus Tidemand said. In the WRC 2 category at Rally Portugal 2017, 20 teams and five brands are fighting for victory and championship points. In total, six ŠKODA FABIA R5 are registered to score in WRC 2 championship, three more ŠKODA FABIA were at the start in R2 class. Saturday will feature the longest leg of the rally with a mixture of sandy roads, rocks and deep ruts especially on the second pass of the stages. Even more than it has been already on Friday, the right tyre choice between soft compounds for more traction and hard compound in order to manage tyre wear on the long stages will be crucial. During leg 2 he teams have to face six special stages totalling more than 150 kilometres. The longest test of the Rally Portugal will be the Amarante stage with 38 kilometres on gravel. 2. Suninen/Markkula (FIN/FIN), Ford Fiesta R5, +1.04,5 min. 3. Tidemand/Andersson (SWE/SWE) ŠKODA FABIA R5, 1:06,8 min. 4. Gilbert/Jamoul (FRA/BEL), ŠKODA FABIA R5, + 3:48,1 min. 5. Camilli/Veillas (FRA/FRA), Ford Fiesta R5, +4.18,8 min. This weekend a total of 56 ŠKODA FABIA R5 are competing around the world in all kind of rallies and championships. 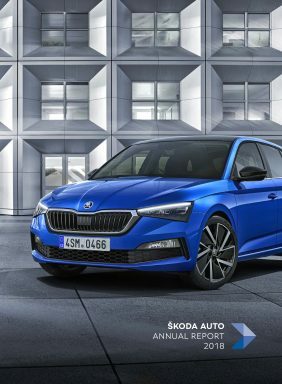 The ŠKODA factory team competes in Portugal and the Czech Republic, customer teams are rallying in South America, Finland, Belgium, Latvia, Bulgaria, Hungary, Great Britain, Italy, Sweden and France.